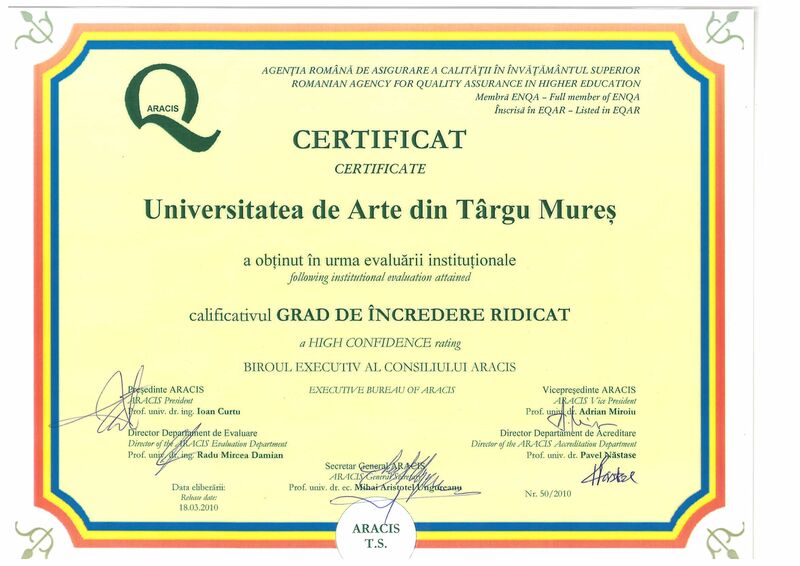 University of Arts Targu-Mures is hosting the next meeting of the Applied Theatre work package within the Three Layers Erasmus+ project between May 18 and 22. Three Layers is the initiative of Europe’s six renowned art universities providing the best puppetry, cinematography and applied theatre university trainings. On behalf of the University of Theatre and Film Arts Budapest the leader of the Applied Theatre work package is Dániel Golden. From the Theatre Department of the University of Arts Targu-Mures Mária Albert, Eugen Păsăreanu, Anda Cadariu and Kinga Boros will take part in the cooperation. The main goal of the project is preparing a joint training program. In line with that the group will meet Kinga Bakk Miklósi, director of the Teacher Training Department at the University of Arts. As part of the program teaching activities will be held also, both for the Hungarian and the Romanian students of teatrology, dramaturgy and applied puppetry. Additional visits will be organized to the National Theatre in Targu Mures, where Youth Programs of the Romanian and Hungarian companies will be presented, and to the Ariel Theater. Theatre evenings will include performances of Piaf-March by Kinga Mezei, The School for Wives by Molière, Directing by Attila Bartis, and Endgame by Samuel Beckett.